While studying music in her home country the Netherlands, Natalie felt that she needed more in her life than just singing. She therefore decided to travel to Kenya for an attachment in the music business. She fell in love with the country, its people and started sharing her knowledge with Kenyan singers and rappers. 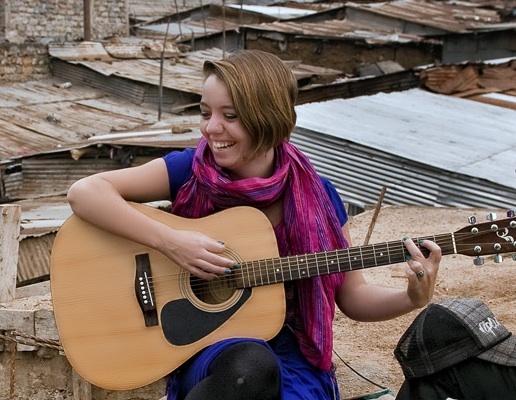 The concept for Sauti Academy, East Africa’s first official Artist Development program was born.Nine years later, Sauti Academy is part of record label Penya Africa where Natalie has been the Executive Director for five years. She strongly believes that music can unite people and create equality and higher levels of understanding even between different socio-economic backgrounds. Sauti Academy proudly runs a music program in one of Kenya’s most infamous prison’s: Kamiti. Natalie is excited to explore possibilities of telling the stories through the “Music Behind Bars” program that is facilitated by Sauti Academy outreach students. Natalie is extremely passionate about her work, but her needs changed when she gave birth to daughter Jora.